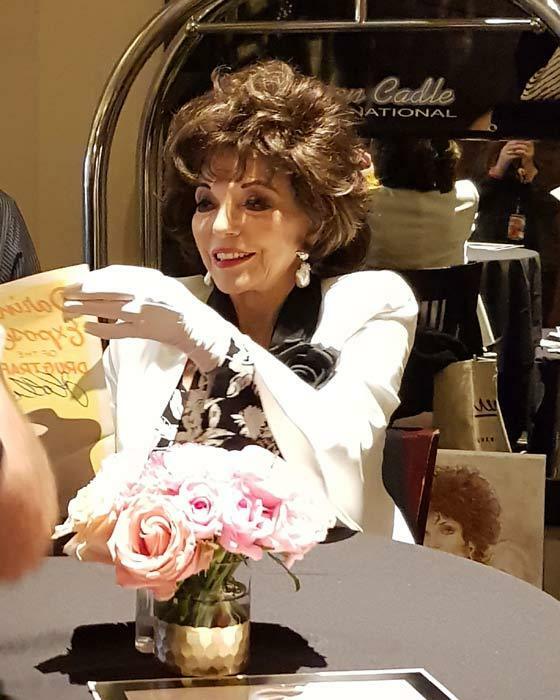 Dame Joan Collins signs a great many photographs for her fans but she has only very rarely autographed Australian Daybills. She signed five daybills for me in Los Angeles recently including one for the 1950s British film Judgment Deferred. Daybills for this title are very scarce in their own right but to have one actually signed by Joan Collins is quite unique. Joan Collins was born on May 23, 1933 in Paddington, London, England as Joan Henrietta Collins. She is an actress and producer, known for Dynasty (1981), Empire of the Ants (1977) and Land of the Pharaohs (1955). She has been married to Percy Gibson since February 17, 2002. She was previously married to Peter Holm, Ronald S. Kass, Anthony Newley and Maxwell Reed.